Welcome to Cycle in Cyprus! 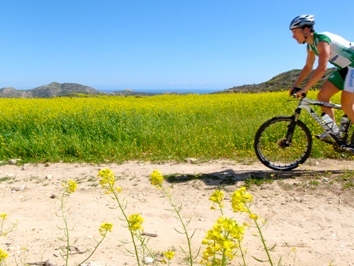 During the cold and wet winter months in the UK and the Northern part of Europe, imagine yourself cycling in sunny Cyprus with its all year round warm weather conditions and innumerous possibilities for both Mountain Biking and Road Biking. You can choose whether you want serious sports training or more recreational cycling, just taking in the breathtaking views around the Island. Cycle-in-Cyprus has many years experience in the cycling world and its experienced staff will be happy to help with any queries you have and help put together your dream cycling holiday to suit You.